Get a 10% discount on Grandma's Dutch Apple Pie e-liquid and any other VaporFi products with our exclusive coupon code. 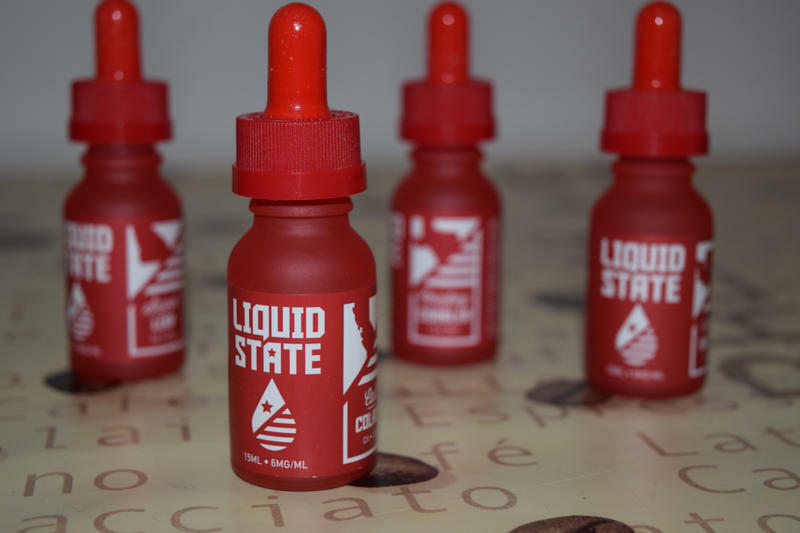 Following the success of their first collaborative effort, the delicious Strawberry Short Cake e-juice, VaporFi and Cosmic Fog have once again teamed up, this time to create a realistic Dutch apple pie flavor, just like grandma used to make. VaporFi was kind enough to send me a bottle for review, so let’s see if this juice is good enough to take me back to my childhood days waiting by the oven. Well, one thing is for sure, VaporFi is so confident that their Grandma’s Dutch Apple Pie e-liquid is so close to the real thing that they’ve even put out a promotional video of an actual grandmother making a delicious-looking apple pie. Just watching it left my mouth watering, so I was really excited to give this juice a try. 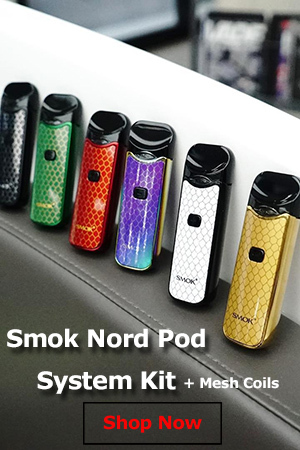 I’ve always believed that while packaging doesn’t effect the vaping experience at all, it makes a great first impression, and we all know how important that is. Someone who has never heard of a product might not even consider trying it if it doesn’t look appealing enough. 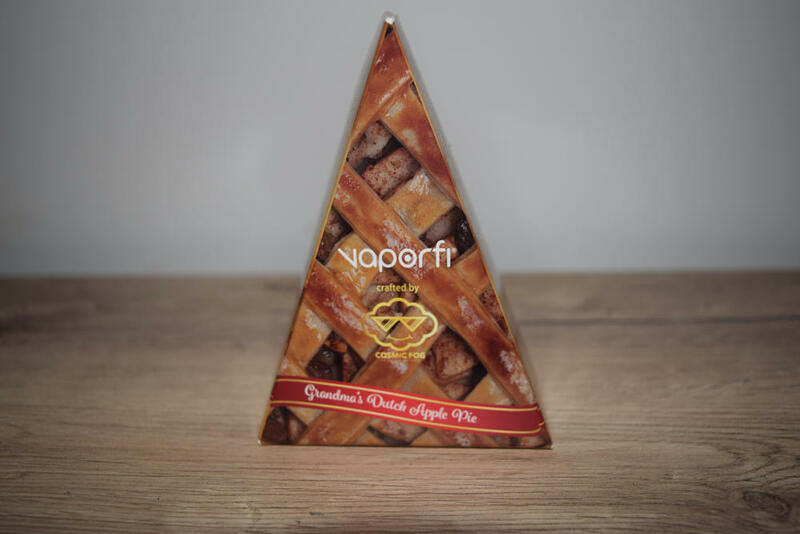 But that’s definitely not the case with Grandma’s Dutch Apple pie, because it comes in a very inspired cardboard box shaped like a piece of pie. It’s definitely something you notice if you’re perusing the e-liquid shelf in a shop. 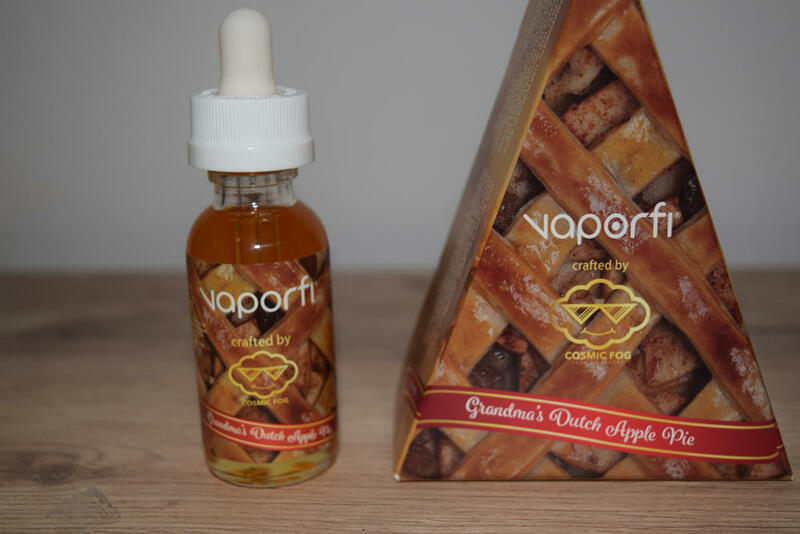 As we’ve come to expect from responsible companies in the vaping industry, the Grandma’s Dutch Apple Pie packaging features all the necessary information, from ingredients, nicotine strength and PG/VG ratio to the various warnings and legal disclaimers. 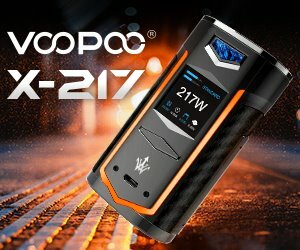 As I mentioned, it’s also a very appealing package, so I’d say that VaporFi managed to tick all the boxes in this department. Grandma’s Dutch Apple Pie only comes in 30ml dropper bottles, and that’s one of the few cons I have, although it’s a pretty big one, especially for heavy vapers like me, who can go through 30 ml of juice in a couple of days. In this day and age, with so many high power mods and advanced tanks, companies that make high VG juices – and this one is actually 70% VG / 20% PG – really need to provide larger bottle options, because the old dripper bottles just aren’t enough anymore. I opted for 3mg/ml nicotine strength, but the juice is also available in 0, 6 and 12 mg/ml nicotine, depending on what device you plan on vaping it with. Please keep in mind that the high content of vegetable glycerin makes this a very thick liquid, which means that vaping it in rudimentary atomizers like CE4-style clearomizers of cartomizers is not advisable. I, for one, tested it in my new Digiflavor Lynx RDA and the iJoy Tornado 150 tank with the included RBA base (dual clapton 0.17Ω resistance). Right, so that’s all over with, it’s time to talk about the flavor. I’ll go right out and say that I knew I was going to like Grandma’s Dutch Apple Pie the moment I opened the bottle and took a sniff of the contents. The baked spaced apple aroma was unmistakable, but there was also a hint of crust in there, which is just what you want from an apple pie vape. The first mouthful of warm vapor just confirmed my original impression about Grandma’s Dutch Apple Pie – it’s a really good juice, especially if you like fresh apple pie – but also revealed a bit of butter in the crust flavor, which only makes this vape more enjoyable. To be perfectly honest, that makes it taste less how my grandma’s pie used to, and more like my wife’s does. She also adds a healthy dollop to the dough, and it makes a big difference. The filling is well balanced, with the cinnamon complementing the fruity apple flavor without overpowering it, and just enough sweetness to make you want to take another draw. It’s just delicious, and best of all, you don’t get any artificial aftertaste, just a lingering taste of apple and cinnamon. 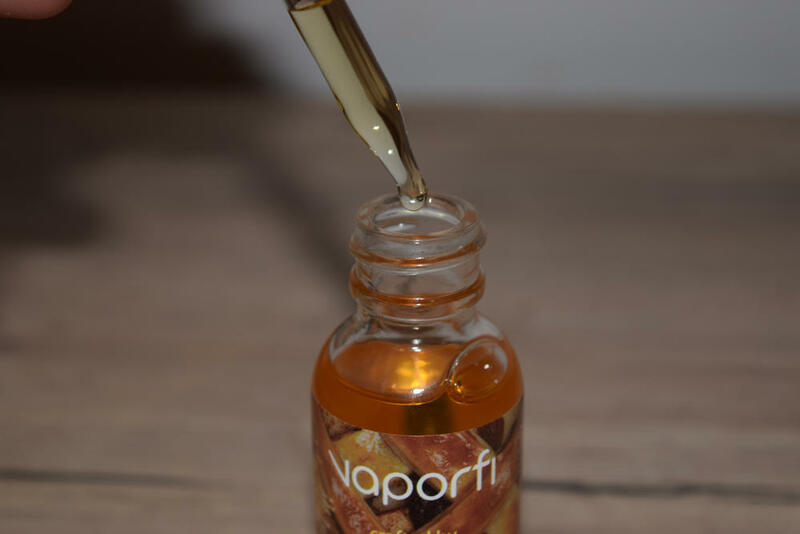 I had the odd impression that I had tasted VaporFi Grandma’s Dutch Apple Pie before, and not as an actual dessert, but in vapor form. It didn’t take me long to realize that it tastes very similar to Liquid State Apple Butter, one of my all-time favorite juices. I hope VaporFi and Cosmic Fog don’t mind the comparison, as that is hands down one of the best apple pie e-liquids ever made. 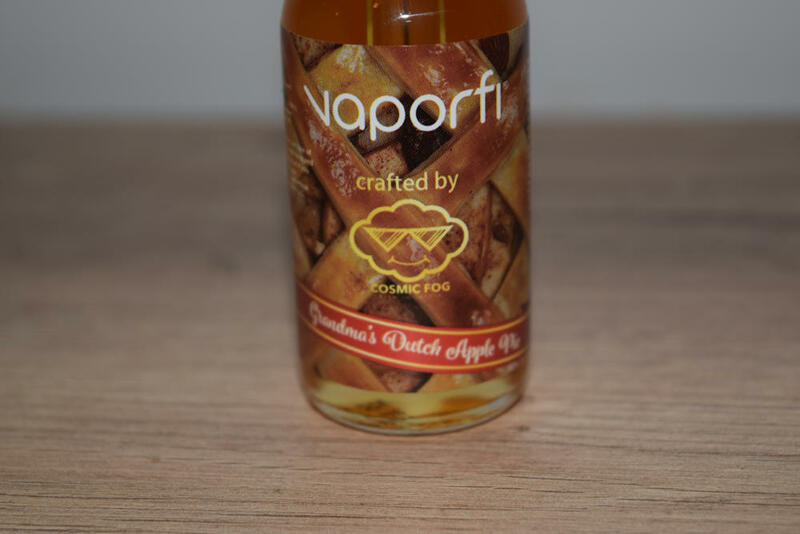 So yeah, if you’re looking for a realistic Dutch apple pie flavor, VaporFi Grandma’s Dutch Apple Pie is a sure bet, and the $17.99 price tag for a 30ml bottle is definitely just as appealing. You can probably find some cheaper alternatives out there, but I can’t guarantee that they’ll taste as good. Get a 10% discount on Grandma’s Dutch Apple Pie e-liquid and any other VaporFi products with our exclusive coupon code.